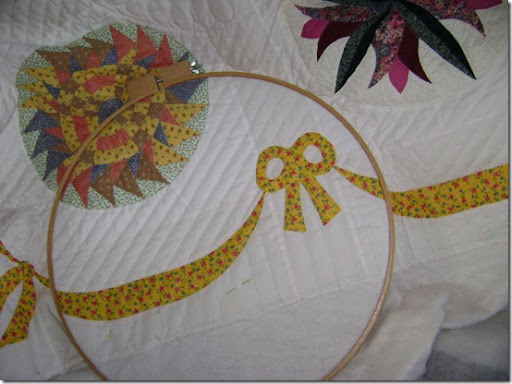 I am adding your blogs to the list of blogs I follow in Google Reader, and sometime soon will be creating a list of hand quilters on the side of my blog’s page so that they are easier for us to find. It’s fun to see where new friends are from… for example, someone from Three Rivers, Michigan keeps visiting my blog. I didn’t even know where Three Rivers was and had to look it up on Google Maps! Hello, fellow Michigander from Three Rivers! I also have heard from several quilters in the Netherlands, Finland, Holland, Norway, etc. I have family from that area of the world, so it’s great to hear from you! Keep on hand quilting… all around the world! « My Grandson Has Arrived! 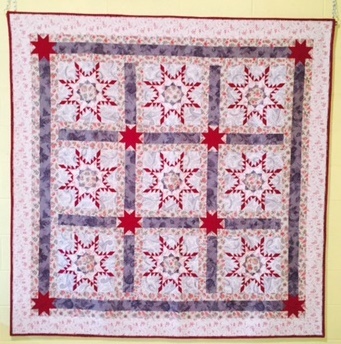 I have been hoping back and forth looking at all the links to the hand quilters – it has been interesting seeing their work and where they are from. I have spent over three hours trying to get buttons and links and stuff like that but I just am too technically challenged to pull it off. This Japanese lap-top won't even speak to me in English! It is only by a wing and a prayer that I can publish a post! I've felt sort of stalkerish trying to read all the hand quilting links, but it's been great fun! Thanks for being so generous and hosting such a great link. I've been looking for something like this for a long time. Thanks for opening this door to so many hand quilters out there. I have enjoyed reading their blogs.